Had to share another steal deal today. 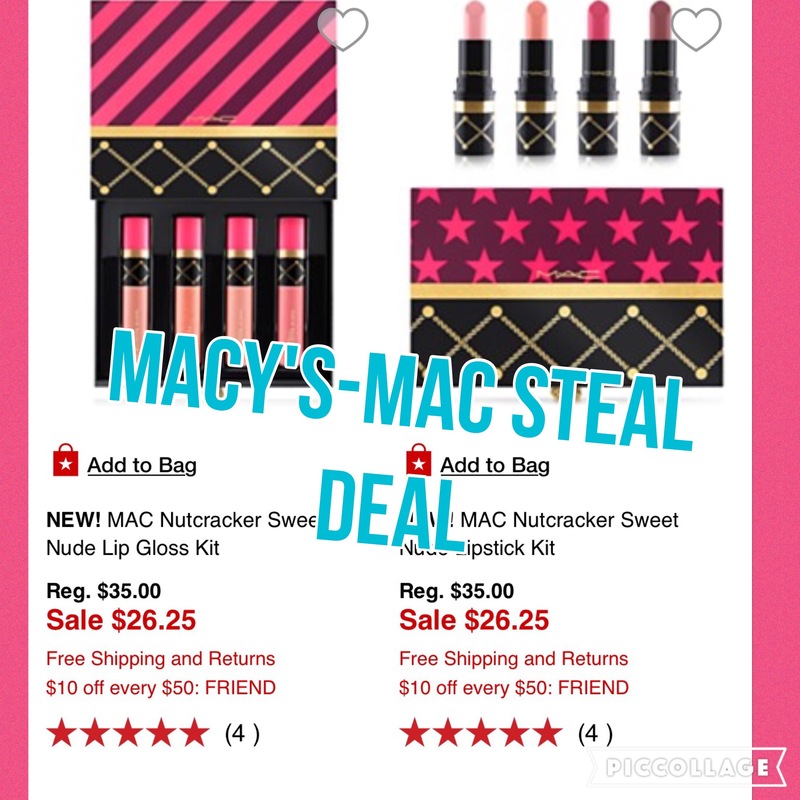 Select MAC holiday kits (Nutcracker Sweet Holiday and various other items) are on sale at Macy’s (25% off). You can score a steal deal by taking advantage of a $10 off 50 discount code. Not only that but you can then score further savings if you shop via Ebates! If you don’t have an Ebates account yet, click the link below to set up an account. It’s a no-brainer to take advantage of getting money back for things you are already buying at so many retailers! I do all of my online shopping through Ebates so I can get cash back. Shop through Ebates and get a 6% rebate on your purchase = final price $39.95 for two of the Nutcracker Sweet holiday gift sets (plus tax of course but you will get free shipping!) That is huge savings for MAC, especially considering the sets were originally $35 each!!! Happy shopping and don’t forget to comment below to let me know what you got!